Aid agencies are ramping up their efforts to help out hundreds of thousands of flood victims in Pakistan, where more than 1.5 million people are living in temporary camps. Aid agencies are ramping up their efforts to help out hundreds of thousands of flood victims in Pakistan. The Pakistani government says more than eight million people, mostly in Sindh province in the south, have been affected by monsoon rains. The United Nations estimates about 1.5 million people are living in relief camps or temporary settlements. The World Health Organization says it has confirmed a number of disease outbreaks, including acute respiratory infections, skin and diarrheal diseases. Aid officials estimate more than two million people are affected by flood-related diseases and fear the diseases will spread quickly. Adding to the dire circumstances is a lack of manpower. 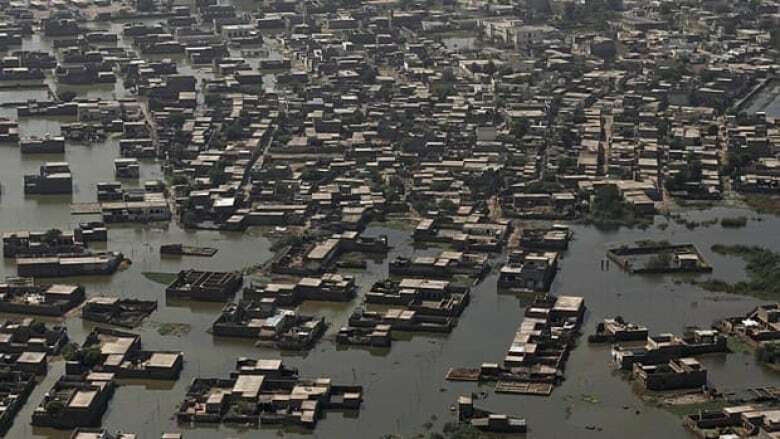 "People who have in the past worked as aid delivery workers are themselves in problems, their homes are inundated and families displaced," Irshad Bhatti of the National Disaster Management Authority (NDMA) told the BBC's Urdu service. Bhatti also said there was a lack of co-ordination between aid groups and the military. Jemini Pandya of the International Organization for Migration said her agency is working with the Pakistan navy to deliver 1,000 shelter and non-food relief kits to families stranded in villages in Sindh province. But Pandya said it’s only a fraction of what’s needed. The UN World Food Program plans to feed more than two million people by October. The UN launched an appeal last week for $365 million US to help those in Sindh and neighbouring Balochistan province.